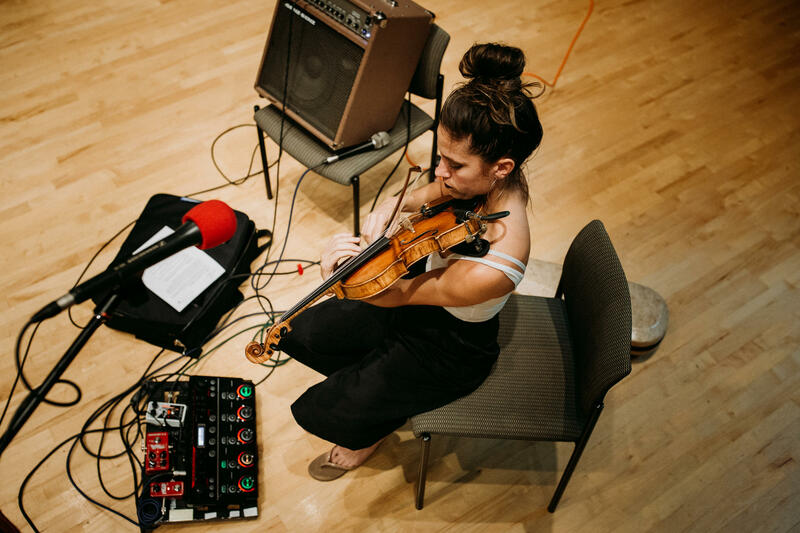 Violinist Alicia Enstrom brings brand new sounds that combine the instrument with her voice and varied electronics. Alicia is currently one of ten finalists in The Ear - a New York based competition for composers of new music. She is also the Artistic Director of Alias Chamber Ensemble. You can live stream the EAR competition finals here on September 20 here. 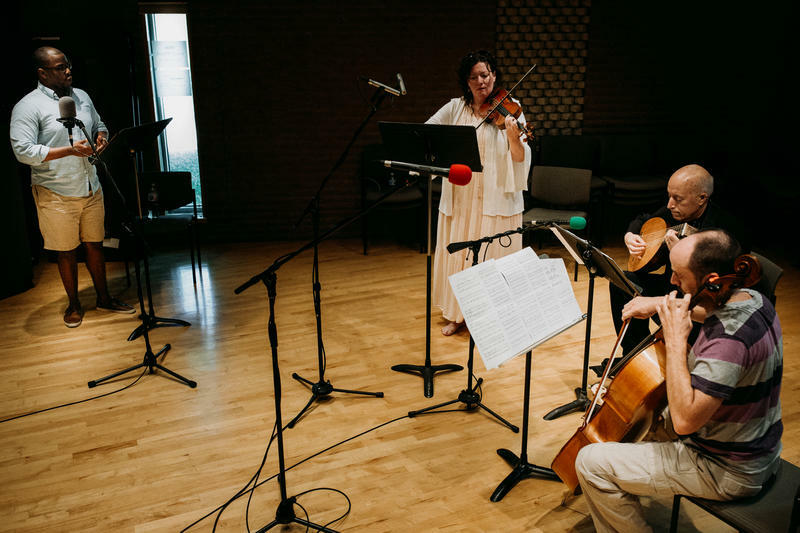 Quasi-baroque ensemble Cheap Trills is a first for Studio C: an ensemble named by our listeners. Countertenor Patrick Dailey, lutenist Francis Perry, violinist Zeneba Bowers, and cellist Matt Walker brought us music from the baroque period and beyond. 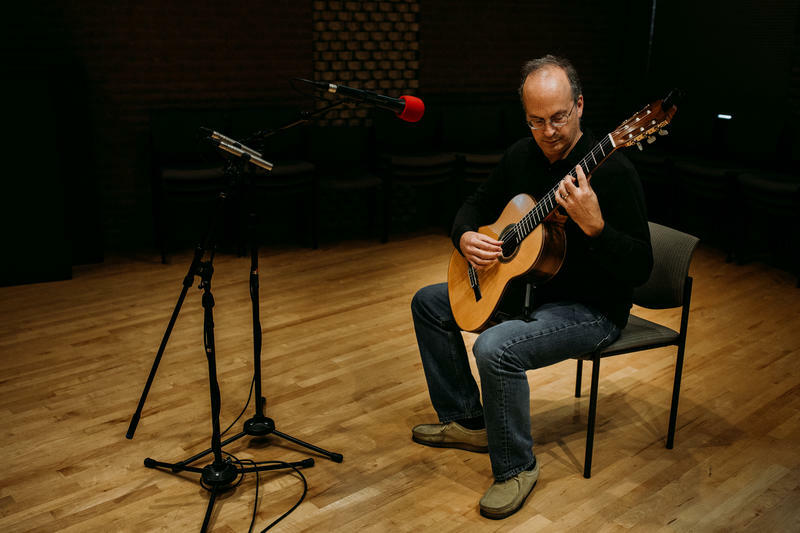 Guitarist Richard Todd brings us music from Brazil, Spain, Cuba and Brooklyn. Todd teaches guitar at Tennessee State University and the Blair School of Music at Vanderbilt University. He also curates the Middle Tennessee Guitar Alliance's Virtuoso Series, with concerts at Blair. Parents snapped cell phone photos and looked on with pride as the beaming new class of Nashville Symphony's Accelerando program was introduced at the Schermerhorn last week. 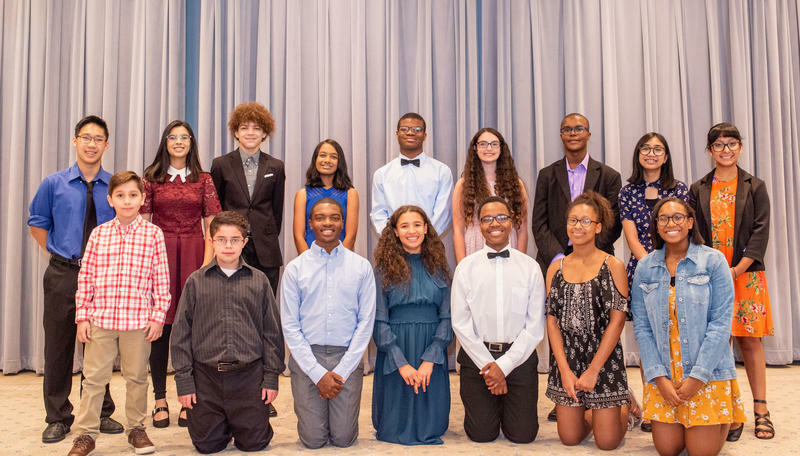 This class marks the program's third year of preparing gifted young students for careers in classical music through mentoring, performance opportunities and private lessons with Nashville Symphony musicians.